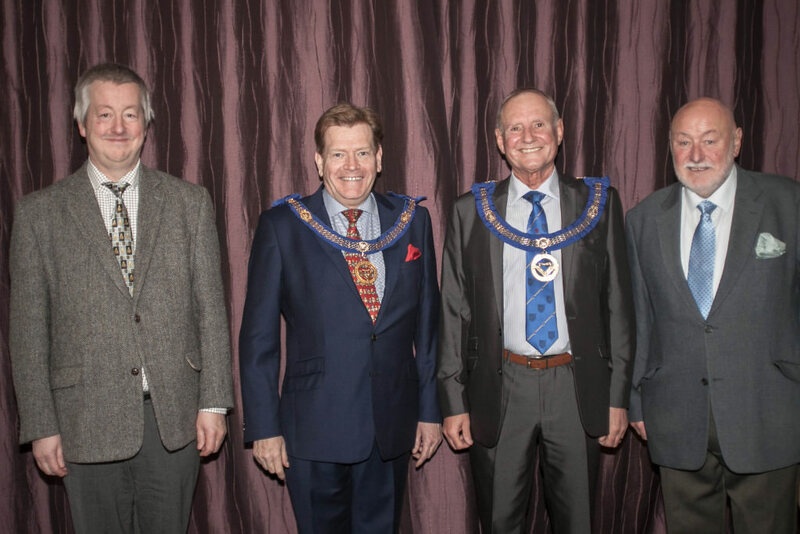 David Walmesley, Assistant Provincial Grand Master, West Lancashire; Stanley Bibby Chairman of the Association. The Association of the Friends of Ecclesholme , under their Chairman Stan Bibby, held their annual Christmas Fair at Elm Bank Masonic Hall on Sunday 26th November 2017. 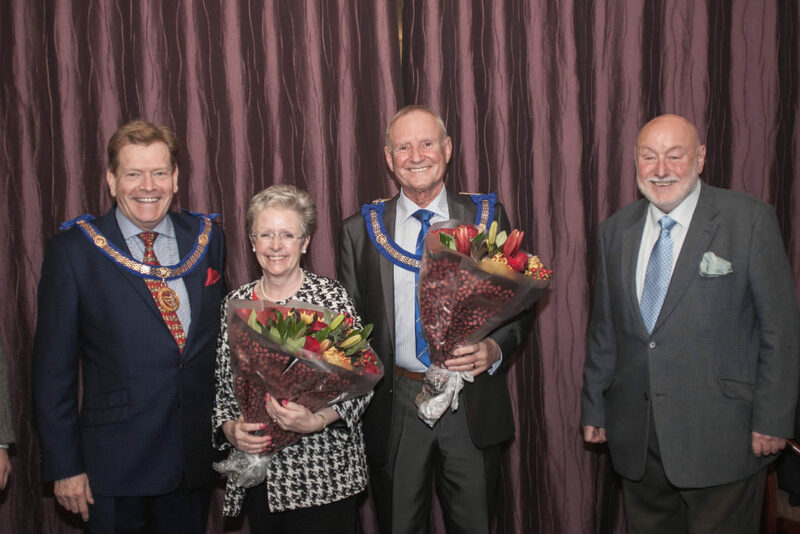 The event was opened by the Assistant Provincial Grand Master for the Province of West Lancashire Kevin Poynton accompanied by his wife Sue. In attendance also was the Assistant Provincial Grand Master for the Province of West Lancashire, David Walmsley. Numerous stalls selling items ranging from cakes, jams, chocolates, flowers, crafts, games and other items of interest. 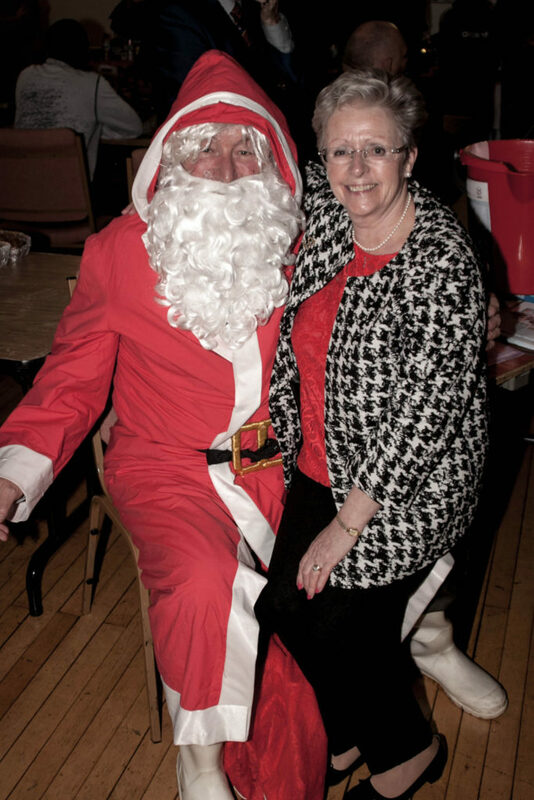 Raffles were also run to boost the proceeds of the event and to the delight of the children, and some of the adults present, Father Christmas was warmly welcomed as he mingled with the people who attended on the day. 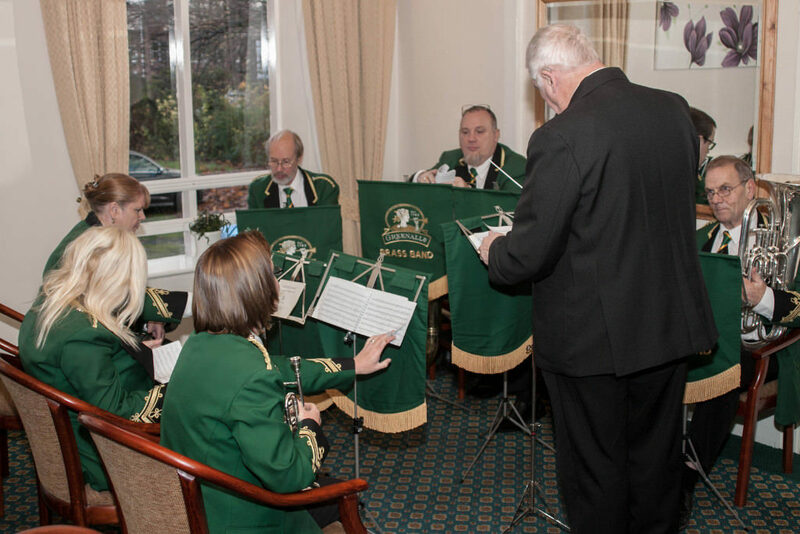 Thanks must go to the Greenalls Brass Band under their conductor Jim Ball who provided seasonal music throughout the afternoon. Many thanks also to the Salford Ladies who once again provided the refreshments. The sum of £1500.00 was raised on the day with ticket sales to be added still to the total. Kevin, Sue, David and Stan. Sue and David receive their flowers. Jim Ball leads the band.